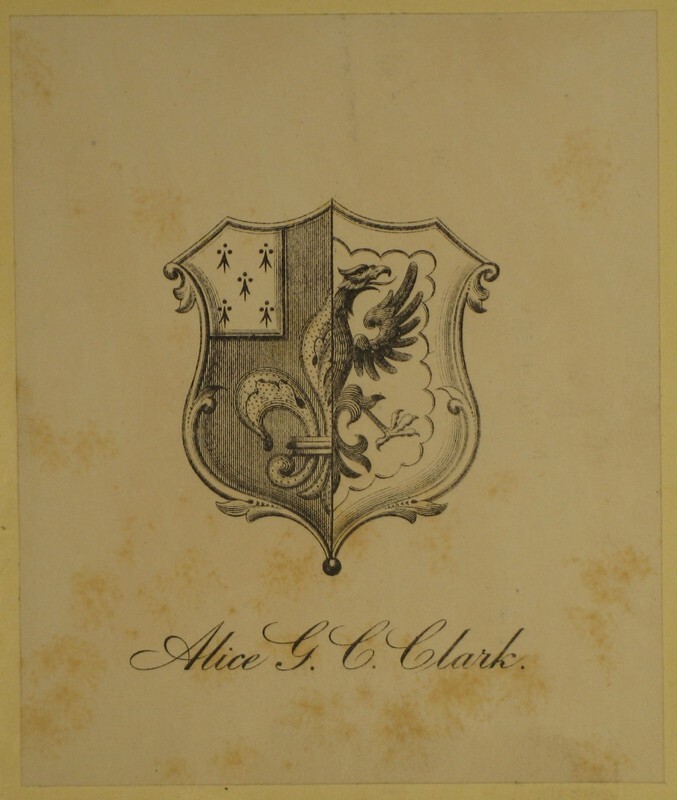 “Alice G. C. Clark Bookplate.” Digital Gallery. BGSU University Libraries, 4 Aug. 2015, digitalgallery.bgsu.edu/collections/item/14407. Accessed 24 Apr. 2019. Example of an Alice G.C. 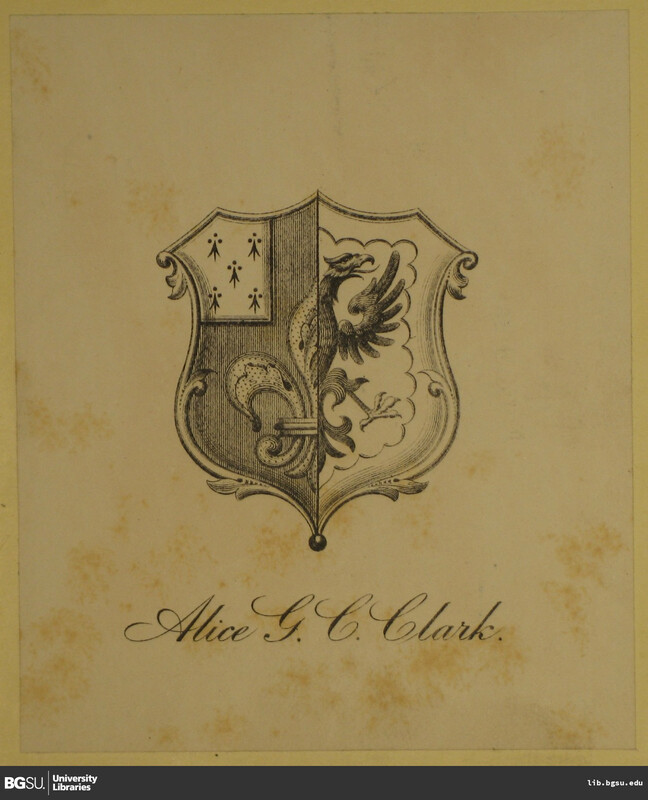 Clark bookplate. Black and white herald. Bookplate can be found in Metrical tales and other poems by Samuel Lover.